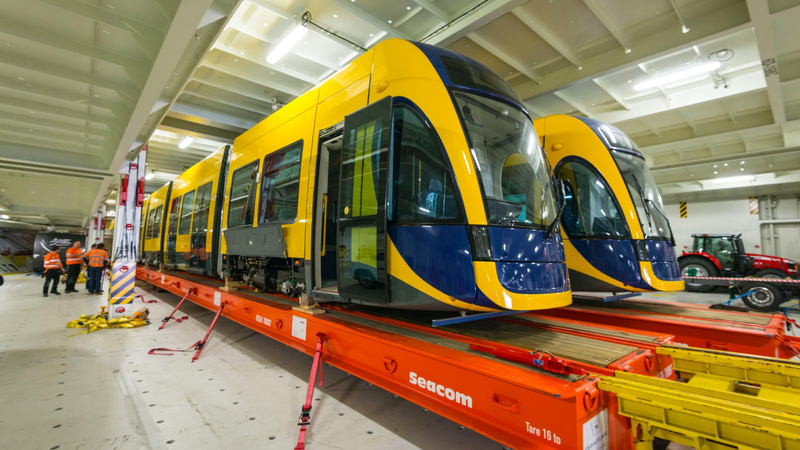 With each tram comprising of a length of 43.5 metres, this presented a challenge, as the units could not be placed on a single rolltrailer, which has a maximum length of 24.4 metres. 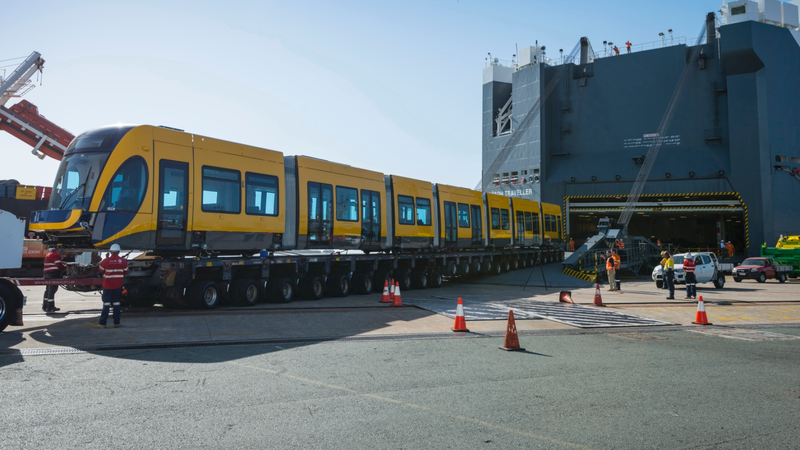 We came up with a unique solution – the extended rolltrailer concept – which involves placing two railed rolltrailers in front of each other and connecting them with our Höegh Bridge. 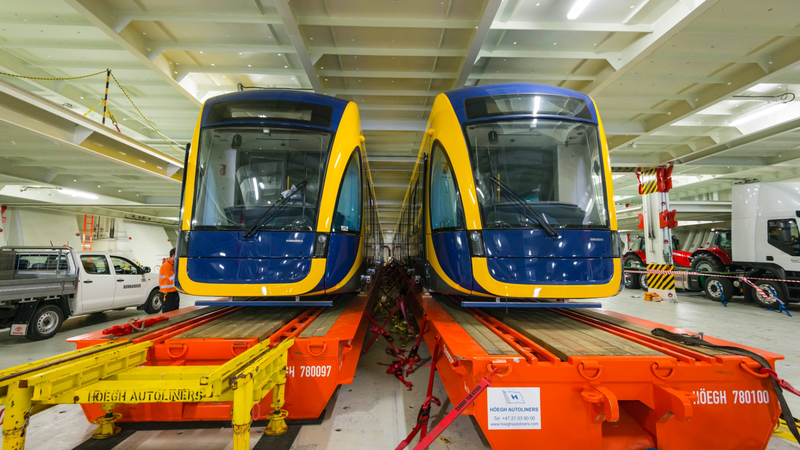 These have been tested and approved and the prototype was used for this operation. 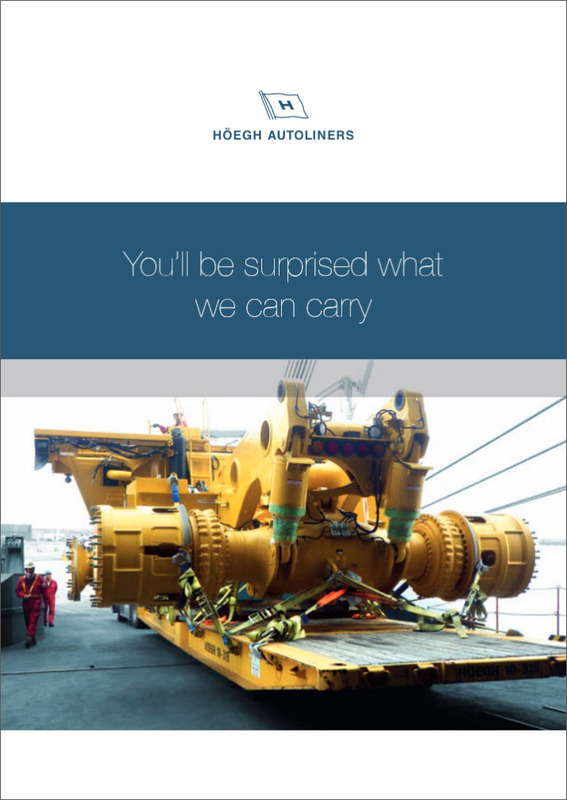 With the success of this shipment it proves that our development in customised solutions offer higher quality and less risk for new types of cargo which would not have normally been loaded on a RoRo vessel in the past. Watch a video of the operation below.